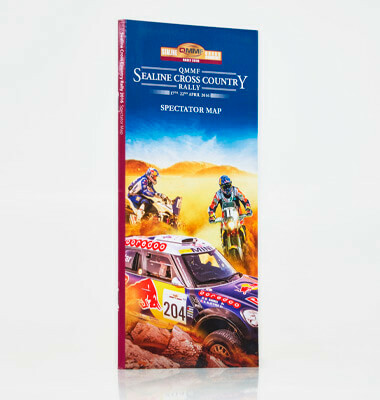 Renowned for producing the UAE and Oman Off-Road maps and guides and for mapping sporting events and tours, Explorer created the route map for the Sealine Cross Country Rally in Qatar. In collaboration with the Qatar Motor and Motorsports Federation, Explorer's experienced cartographers and professional designers produced printed spectators' maps outlining all the different routes and stopping points. Depicting local towns, resorts, dune gradients, varying landscapes and signs in a fold-out map, the programme also features the entrants in various categories, previous winners and other essential information.